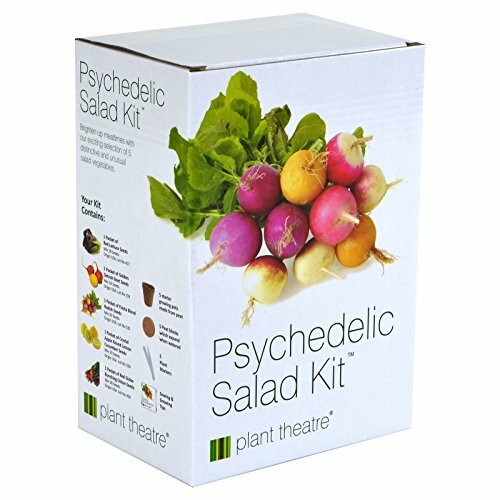 A really unusual gift – brighten up mealtimes with this exciting selection of 5 distinctive and unusual salad vegetables. 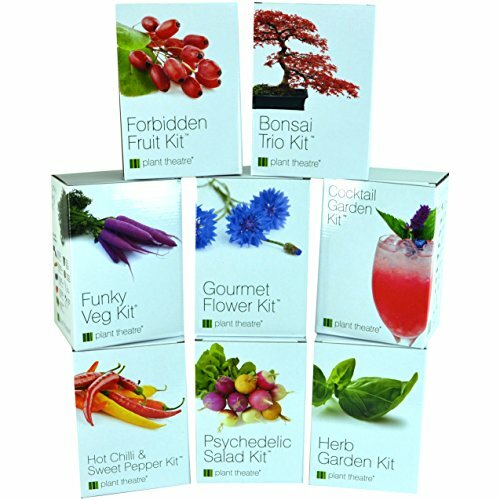 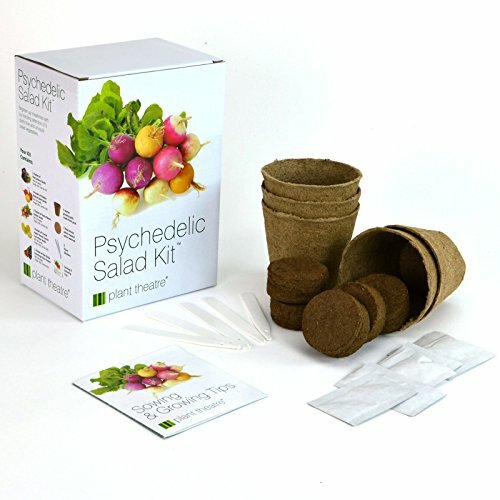 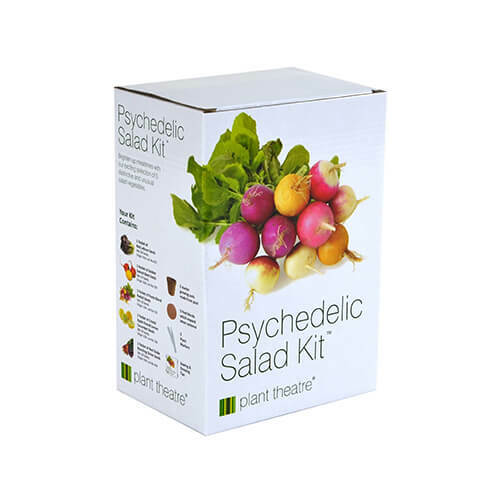 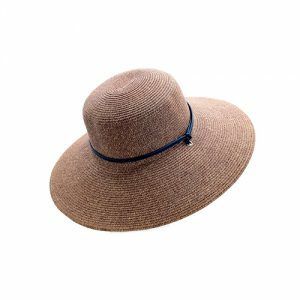 The kit contains the following varieties: 1 packet of Crystal Apple round lemon Cucumber seeds, 1 packet of Red Lettuce seeds 1 packet of Red Globe Bunching Onion seeds 1 packet of Golden Detroit Beet seeds 1 packet of Fiesta Blend Radish seeds. 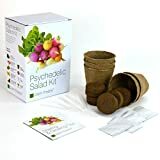 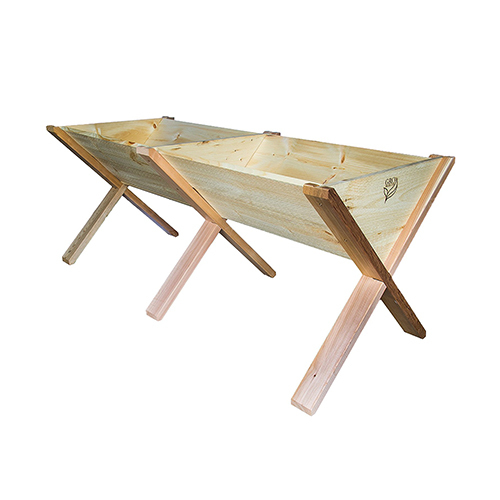 Also included in the box are: 5 starter growing pots made from peat 5 peat blocks which expand when watered 5 plant markers And Sowing and Growing Tips.